I will show you how it works and how easy it is to use. Basically, everything that it has to offer and that is quite a bit for a keyword tool. Jaaxy Enterprise is a keyword tool that provides the ability to search for keywords, give you detailed information about the keyword and a whole bunch of other great features. Plus it is really fast! Keyword research is critical when creating content for your website to advertise it and promote it online. Keywords are what get your website ranked in the search engines and you want the search engines to place your website on page 1 whenever anyone searches for the product or service that you are providing. So keywords are really important. Jaaxy makes it easy to search for great, low competition, high search numbers keywords to use for your website. It is easy to use and understand using colors and numbers to represent the data that is displayed. Great for beginners or expert power users. 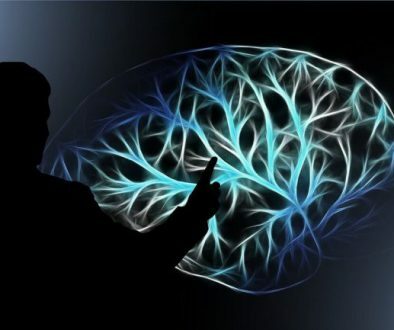 The many features that are available like, Brainstorm and Search Analysis, I am sure you will really like. They are powerful tools to enhance your research and give you additional useful information. So what does Jaxxy offer? Jaaxy Enterprise is an all-inclusive package keyword research tool. It is a fast and very powerful platform for all skill level users. My favorite feature, of course, is the keyword tool its self. The keyword tool will give you all the information that you will need to find great, low competition keywords that everyone wants to get their hands on. Avg – Gives the average number of monthly searches for that keyword. Traffic – Gives the average number of monthly times someone actually clicked a website with that keyword. QSR – Quoted Search Results. This tells you the number of competition that is online for that keyword. KQI – Keyword Quality Indicator. This will tell you how good the quality is of the keyword. SEO – Search Engine Optimization. Tells you how well the keyword will rank in the search engines. Domains – Will list domains like .com, .net, .org etc., that are available for that keyword (great for domain flipping). Site Rank – Site Rank allows you to type in your URL for your website or any page or post that you publish and find out where it is ranked in the search engines. It is a great way to see where your article will show up when someone searches for your topic or product/service that you are offering. 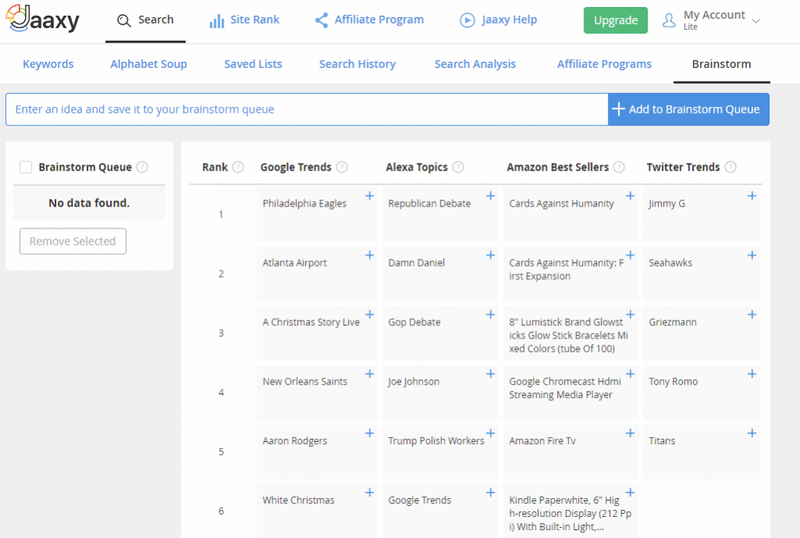 Brainstorm – Brainstorm allows you search on an idea and see what the going trends are in places like Google Trends, Yahoo Buzz, Alexa Topics, and Twitter Trends to name a few. 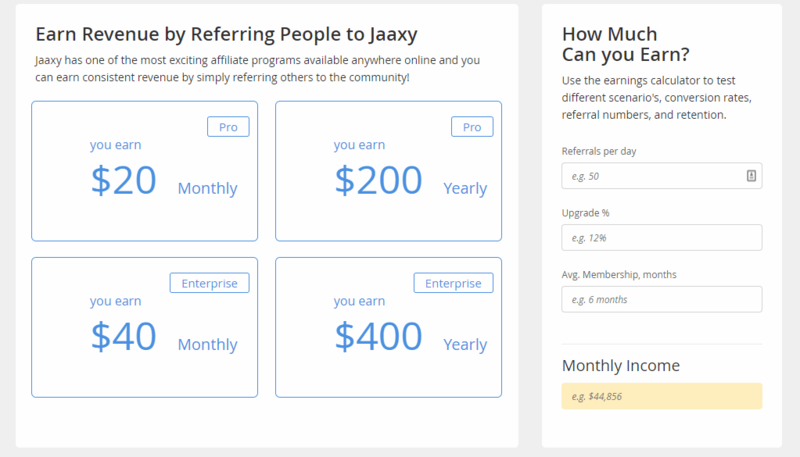 Affiliate Program – The Affiliate Program is a great way for you to get Jaaxy Enterprise for free by getting referrals to sign up for Jaaxy. The program is very well maintained and run and offers a high commission for referrals that are recurring payments. The image below shows the pay plan for the Affiliate Program. As you can see the commissions can add up really fast. There are more features in Jaaxy so take a look. It is free to sign up and you get 30 free credits to use in Jaaxy and explore its features before you even have to purchase a plan. Jaaxy Enterprise is packed with powerful tools and is 5X faster than the free version and the free version is already fast! 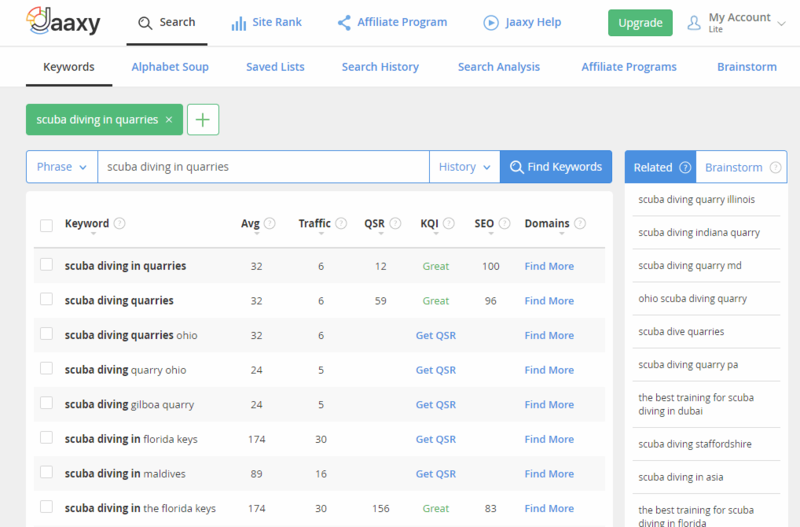 To use Jaaxy for keyword research is really easy. I will show you just how easy it really is with this powerful tool that you can play with. If you want an in-depth look at using keywords then just follow this link to an article just for that. Ok, first, you need to think of what you think someone would type into a search engine to look for your product or service that you are trying to sell. Think as if you were looking for this product or service and what would you type into the search engine to find what you are looking for. Then take that string of words or word and enter it into Jaaxy Keyword Tool and hit the search button. Once the search is complete it will display your information about the keyword and other relevant keywords. See image below. As you can see in the image the keyword “scuba diving in quarries” has a green “Great” under KQI. This means that this particular keyword will rank well in the search engines. Under the Avg. column is the number 32. This means, that in the last 30 days 32 people have typed this exact keyword into search engines. The column, Traffic, shows the number of 6. This means that out of the 32 people who typed in this exact keyword, 6 of them actually clicked on a website that was brought up by the search engines. Next is the QSR, which has a number of 12. This indicates that there are 12 websites online that use this exact keyword on their websites in all of Google. The KQI you will see is great. This means that the keyword is a good quality keyword and that it makes sense. Normal means that it is ok and Poor means that it will very hard to rank for this keyword. SEO column tells us how well the keyword will rank on page 1 of the search engines. As you can see this keyword is at 100. It is a scale of 1-100 so this keyword has a great chance of ranking on page 1 of the search engines. The higher the number the better. The Domains column will show all the available domains like .com, .net, .org, etc., associated with this keyword. These will be domains that you would purchase to use as your website domain or for Domain Flippers. So that is it. Like I said it is really easy to use and understand and it is very powerful. This tool will greatly reduce your research time and allow you spend more time on your content and website. Here is the pricing of the different packages that Jaaxy offers. I hope that a Jaaxy Keyword Tool review like this has shown you what Jaaxy Enterprise has to offer and just how powerful and full of features it is. I am sure you will like Jaaxy as well. I have been using Jaaxy now for the last 6 months and I am really enjoying the features and ease of use, not to mention the power and the speed at with it resolves the data. I would highly recommend Jaaxy as a very useful Keyword Tool. If you would like to try it for free then just enter your keyword in the box below and be on your way to having no more problems researching keywords. So you want to give Jaaxy a tryout? The just click this link to Jaaxy Keyword Tool. It sounds like the keyword search platform newbies like me need, Carl. I have tried so many other avenues, but the abbreviations and the lack of explanations have all made it pointless for me to get the grip of. Pure waste of time. Whereas it sounds to me that Jaaxy is in fact ideal for beginners who are still unaware of the online marketing jargon surrounding the building of your own website and the additional features that you need to make your site a successful one in the SEO ranking. Thank you, really insightful review! Yes, I really like Jaaxy. It is easy to use and to learn. The information displayed is well explained as to what it represents and there helpful pop-up windows that give brief explanations as to what the data represents. 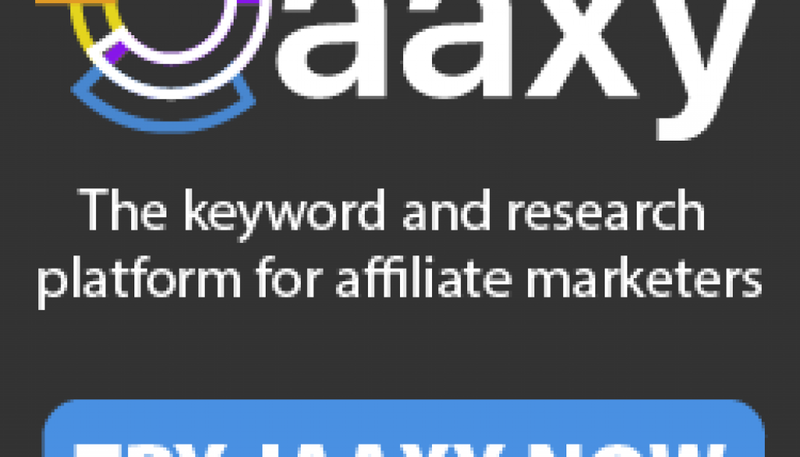 If you need to research keywords and get in-depth analysis then Jaaxy is the way to go. I have had great success with Jaaxy so far and would highly recommend it to beginners and pros alike. Thanks so much for stopping by and I am happy that you found the information useful. I use Jaaxy for keyword and it is my favorite tool for my website. It helped me getting organic traffic to my website because I was able to target very low competition keywords. It is a helpful tool for any marketer and SEO freelancer. I agree, Jaaxy is an awesome keyword research tool. I use it all the time and really like how fast it is. I would recommend anyone to try it and see just how powerful and fast it is as well as efficient. Looks like a pretty good research tool for bloggers. I think I may give it a try. Nice rundown of this tool. Thanks for stopping by. Yes, Jaaxy is a great tool to use for bloggers. I am glad u found the article to be informative and useful to u. I would recommend Jaaxy if you are a blogger and are looking for a keyword tool. Thanks again for stopping by and I wish u success in all that u do.